While it is true candida lives naturally inside our intestines where it is supposed to be in balance with the healthy bacteria within us, it is also true that our not so healthy environments are prone to destroying this healthy bacteria; thus throwing off the balance between the two and allowing for candida overgrowth. When this occurs, a multitude of undesirable symptoms tend to follow close behind. Such symptoms may manifest mentally or emotionally in the form of depression, insomnia, anger, memory loss, anxiety, brain fog, and/or mood swings. Other possible symptoms include, but are not limited to, inflammation, thrush, white coating on tongue, heart burn, bad breath, indigestion, numbness, painful or swollen joints, vision problems, chest pain, muscle aches, bladder infections, cramps, lowered libido, infertility, frequent urination, chemical sensitivity and/or nervousness. Ashwaghanda is an herb commonly used in the Ayurvedic healing system that has anti-inflammatory, diuretic, sedative, anti-bacterial, and anti-fungal activities. Ashwaghanda helps with candida die-off symptoms by supporting the adrenals, supporting a healthy balance of cortisol levels, building the immune system, rebuilding the body’s energy reserves, and reducing stress and thus reducing improper cortisol release. During an active candida infection, and during candida die off, adrenals are often weakened and cortisol levels are lowered. This typically leads to sleep disturbances, in which you may find it difficult to relax and to go to sleep at night. When this happens, as it often does in the beginning stages of adrenal fatigue caused by candida die off, the body attempts to compensate by transmitting high levels of cortisol throughout the bloodstream, which then results in restless sleep and eventually leads to lower than normal cortisol levels in the long run. Therefore, not only do you have trouble sleeping at night, but you may find you have trouble staying awake throughout the day as well. As time goes on, adrenal fatigue prompts the body to produce excess adrenaline in an attempt to compensate for low cortisol levels, which only leads to further problems of insomnia, causing the problem of sleepless nights and fatigued days to increase in severity. This accompanied with the other factors of candida and candida die off, also leads to depression and other emotional and mental symptoms. As you can see, it is a double edged sword for the body when it comes to correcting the problem alone. It may be that your body needs aid in doing so, and many find that Ashwaghanda is the perfect solution. When taken at night, Ashwagandha will not only help you fall asleep easier, but will also promote a more restful night of sleep. On the other hand, when taken in the morning, Ashwaghanda will help raise your energy levels by supporting your endurance and working to rebuild your energy reserves. However, merely taking it at night in order to fall into a deeper sleep will provide you with more energy the next day and vice versa. While this is an amazing aspect of the healing properties of Ashwagandha, one of the most well-known benefits of taking the herb is its ability to train the body to adapt to stress, therefor allowing it to act as a natural mood stabilizer. Most people who deal with candida problems also deal with a roller coaster of emotions, making this herb a prime option for consideration. For many, Ashwaghanda’s ability to reduce stress, depression, and anxiety is as powerful as prescription drugs. Ashwaghanda also helps with forgetfulness and helps normalize blood sugar levels. **To start, try taking 600mg of Ashwaghanda in capsule form daily, and increase the dose as needed. Depending on your system, your preferred dose may range anywhere between 600mg and 1,000 mg daily. Ashwaghanda will not cause drowsiness. North Americans have used the bark, husk, and leaves of the black walnut tree for medicinal purposes for centuries. Black walnut is known to combat candida and candida die-off symptoms better than many mainstream antifungal drugs. It is found in many herbal remedies designed to combat candida, but is also available and useful in concentrated form. In 1990, a study conducted by the University of Mississippi found the active ingredient “juglone” found in black walnut to be as powerful as many commercial antifungals in regards to fighting candida overgrowth. The study results showed that juglone had moderate anti-fungal activity and was effective at killing candida as zinc undecylenate and selenium sulfide, both of which are popular commercial anti-fungal agents. There are also natural tannins in black walnut that work to kill other parasites, yeast, and fungus. Black walnut is also beneficial in regards to treating high blood pressure, thyroid problems, diarrhea, sore throats, and asthma. For candida, it is best to take the husk, or hull, of black walnut in a liquid tincture form. Black walnut is harvested when green and then soaked to remove the husk, at which point it is then extracted into tincture form. Although it is most effective in tincture form, you may also take black walnut in capsule form. If you can’t find Black Walnut in capsule form, look for a Candida supplement like Candida Support. This contains Black Walnut extract, as well as Caprylic Acid, Oregano Oil and Pau D’Arco. Dosing varies depending on the potency of the specific product you choose, so follow the dosing guidelines as indicated on the box or bottle accompanying the product you purchase. **Black walnut is not recommended for women who are pregnant or breast feeding, or for individuals with gastrointestinal issues. Individuals with liver or kidney problems should use the herb with caution, as it may further irritate these organs. Neem is an herb commonly used in Ayurvedic medicine. It is known for fighting infections and fungal overgrowth, as well as for stimulating the immune system which is compromised during candida infection. In order to heal, it is essential for you to build and support your immune system in order to allow your body to assist in fighting the infection. Without a strong immune system, healing will prove to be much more difficult and die-off symptoms will be far more severe. Neem is also a very potent detoxifier, making it a great aid in relieving symptoms produced by candida die off. As a detox agent, neem helps die off symptoms subside by pulling out toxins faster. In doing so, neem will help to greatly decrease the overall discomfort caused by candida and candida die off. Candida can make you feel as if you are going crazy by causing an array of intense emotional and mental side-effects, as well as relentless itching. These emotional and mental toxins work to create a toxic physical environment. Therefore, it is essential for you to detox well while treating candida overgrowth. For candida, it is recommended that you apply three drops of neem oil to your gums and swallow it each morning. This will also help with the debilitating brain fog and zapped energy levels caused by candida. It is a very powerful natural oil. **Neem is contraindicated for women who are pregnant or breast feeding, and should not be administered to infants. When taken in excess, neem may be poisonous. Always read and follow the instructions accompanying the product you purchase. Calendula, also known as marigold, has been used as a medicinal herb for centuries. Calendula simultaneously acts as an anti-bacterial, anti-fungal, anti-infective, anti-inflammatory, anti-oxidant, anti-septic, anti-spasmodic, anti-viral, aperient, astringent, detoxifier, diaphoretic, emmenagogue, and immunostimulant. Its healing benefits are seemingly endless, many of which stem from the herb’s high content of flavonoids. These flavonoids are chemicals that serve as antioxidants in the body, making calendula a major source of relief from candida die off symptoms via detox. Calendula Other traditional uses of calendula include treatment of cramps, coughs, eczema, gastritis, minor burns and sunburns, warts, conjunctivitis, and sprains, wounds, and other injuries. Candida can cause oxidation, which produces oxygen-free radicals which are capable of suppressing the immune system. As mentioned earlier, having a properly functioning immune system is crucial in order to heal from candida overgrowth, and in order to deal with candida die-off symptoms. The anti-oxidants in calendula will help you to safely detox the body, thereby greatly reducing your overall symptom picture. These antioxidants also help protect the body’s cells from further damage due to Candida toxins. Calendula also greatly helps reduce candida overgrowth and candida die-off symptoms due to its ability to eradicate and/or reduce the common candida symptom known as “oral thrush.” Oral thrush, characterized by a white coating on the tongue, occurs when candida accumulates on the lining of the tongue. It can create lesions, and is sometimes very painful. If not controlled, oral thrush may potentially spread throughout your gums, the roof of your mouth, your tonsils, and the back of your throat. Calendula flowers are dried and used as herbal ointments, topicals, compresses, tincture extracts, and/or gargles. In regards to candida, calendula is most commonly taken in tincture form. 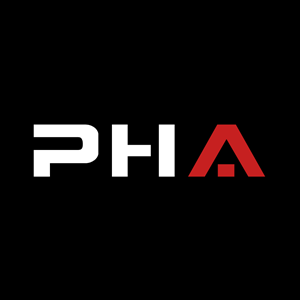 Dosing varies depending on the potency of the specific product, so please follow the guidelines pertaining to the specific product you purchase. Also, it is advised that you consult with an herbalist if you choose to take calendula internally. To combat thrush in a relatively quick manner, use calendula as a mouthwash two to three times a day. If you wish to make your own gargle, you may do so by placing five grams of dried calendula flower heads into a liter of boiling water and letting it infuse for approximately five minutes. After you have strained and slightly cooled the mixture, you may use it as a mouthwash. Milk thistle has been used medicinally for over 2,000 years. Originally, the milk thistle plant was only found in the Mediterranean, but it is now found throughout Europe and North America as well. 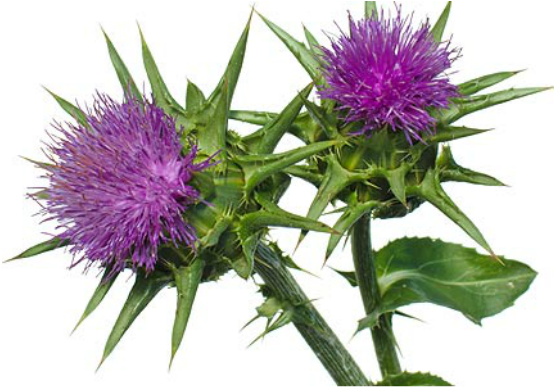 One of the primary health benefits of milk thistle is its function as a liver tonic. The herb is such a potent liver detoxifier and protectant that it is now recognized in the conventional medical world. Milk thistle helps with die-off symptoms by protecting your liver from candida toxins, as well as by working to heal any damage that has already occurred. Eliminating toxins from die-off are essential if you wish to reduce your symptoms, and the liver must be functioning properly in order for you to do so. The liver primarily rids the body of toxins in the blood, so taking an herb to support it is crucial. The biologically active component in milk thistle, known as silymarin, supports liver function in various ways. Silymarin repairs damaged liver cells by stimulating protein synthesis, guards liver cells by modifying the cell membranes to prevent toxins from entering the cells, and stimulates new cell growth of liver cells. **For candida, milk thistle should be composed of, at a minimum, seventy to eighty percent silymarin. Most individuals can take up to 420mg of milk thistle per day, but be sure to follow the dosing guidelines as indicated on the packaging of the specific product you purchase. It is advised that you purchase the capsules which contain the powder form.